Ingrid Bragemann founded her own production company in 2003, establishing the TantorFilms brand. That’s when she starts working on international productions across our Latin American continent, offering locations in Argentina, Chile, Uruguay, Mexico, Costa Rica and Panama. Prior to that, she’d been involved in big campaigns as executive producer around Europe and the USA along with important directors, which served as a motivation to offer to European and North-American audiences the same standard she encountered in these regions, but now in our continent. The projects proved to be successful and, step by step, she became one of the women leaders of the industry in Latin America. About Ingrid, it can be said she’s become an ambassador of our countries, especially Chile when it comes to the entertainment and audiovisual’s global industries. 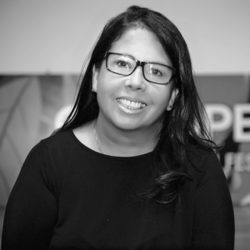 Ingrid’s taken part as a member of the judges in several Advertisement Festivals, and it’s been an exponent in the Ciclope Festival in Berlin and Buenos Aires, plus Rio de Janeiro’s Ad Forum and Spain’s El Sol, among others. She’s worked as executive director of Chile’s International Producers Association for five years; she’s one of the founders, and one of the instituters of the Shoot in Chile brand. Ingrid continues to be part of the directory in both.